Please go to this site and support our campaign. If I haven't said it enough already – Just Add Love would not be possible without your support. Thanks in advance for helping us. UPDATE: After 36 hours, our campaign is 75% funded!!! Thanks to all our supporters so far, and please keep sharing the link till we reach our goal. The Kickstarter system is all or nothing. They don’t release any funds to you till you reach your goal. Normally, on a food blog, that’s making stock… but in this case, it’s time to take look back and see how we got here. 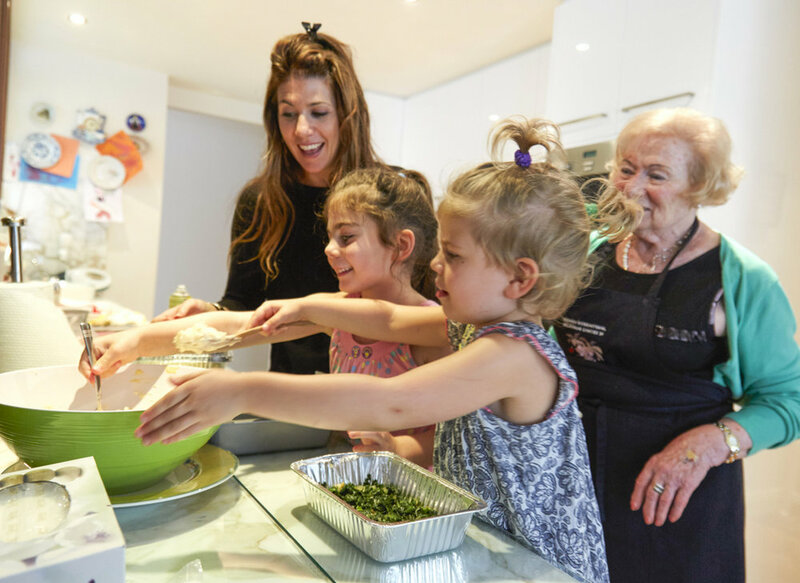 It’s been a long road, a project that began with a TV and radio doc broadcast on the ABC in 2015, where 3 Australian Holocaust Survivors told their stories while cooking with their grandchildren. Emily Rice, Eva Grinston’s granddaughter, waiting for Eva so we can film them baking Eva’s Chocolate, Sour Cherry and Walnut cake for ABC-TV Compass programme, ‘Taste of Memory’. It then became this blog, as we interviewed more Survivors, recorded and wrote up their life stories, photographed them cooking with their grandchildren and tested their recipes and chronicled the results here. And now after more than 3 years, it’s expanded again, and the stories and recipes of more than 20 grandmothers - and 2 grandfathers! - will be in our upcoming book. For years, I watched Eva Grinston, the mother of one of my closest friends, Elizabeth, cooking up feasts from a battered old recipe book. It was written in a foreign language and turned out to be a book with a story. Eva Grinston was born in Bratislava. She was a child when WW2 began and a teenager - and a different person - when it ended, for the Nazis had transported her to the death camp of Auschwitz, where she had been a prisoner and slave labourer. Her mother, her aunt and her little sister Vera were all killed there. When Eva returned to her family home after the War she was alone, a gaunt, bereft 16 year old. 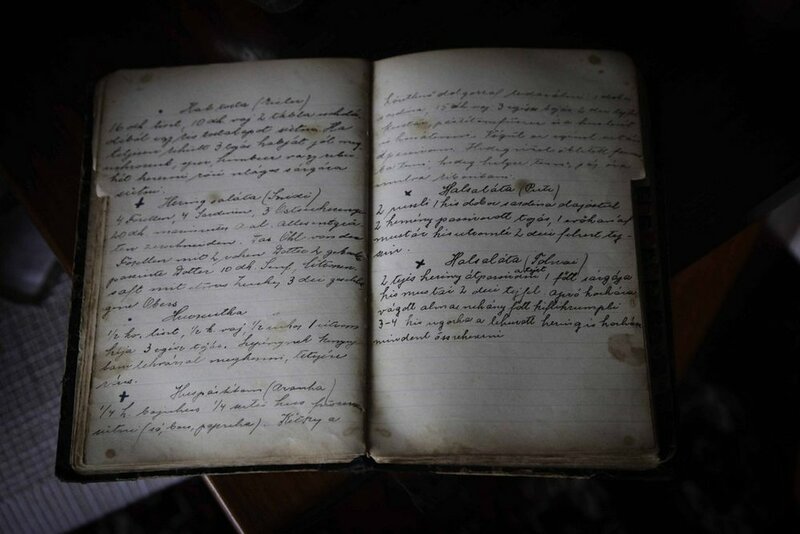 She found that little remained of her past until she discovered a box in the cellar - and there was her grandmother’s cook book. It’s the book she’s been cooking from ever since, keeping alive the tastes of that vanished world. It’s a link to her past, and also to her future, as she cooks from it for her grandchildren. 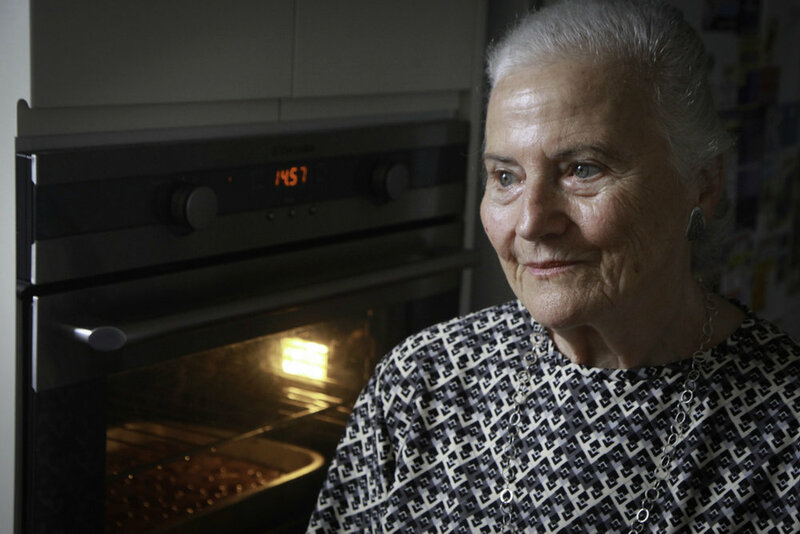 Recipes from Eva’s grandmother’s cookbook will be in Just Add Love, because Eva’s cookbook, with its poignant story, filled with pain, hope and continuity, led to this one. And to this project, through which I have been lucky to meet such inspiring women, to learn so much, to eat so well, and also to improve my cooking skills. The Just Add Love grandmothers come from across Russia, Europe and North Africa, which means their WW2 experiences are varied, and so is the cuisine. 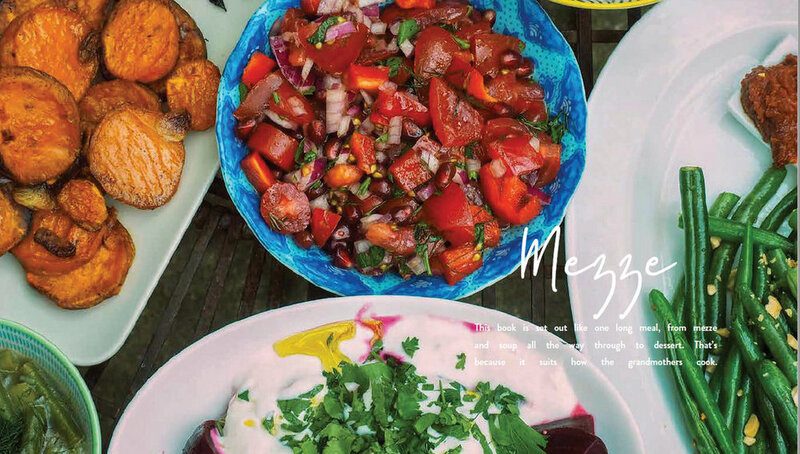 Our book features mezze from Greece and Libya, dumplings from Central Asia and fabulous cakes from Austria, Hungary and Czechoslovakia. Actually, fabulous cakes from all over the world. Grandmothers, it turns out, love baking. in fact, reading this book will be like sitting in the kitchen listening to you grandmother tell you stories while she bakes. Survivors of genocide, and the last eyewitnesses to the terrible events of World War Two, these are special women. Many arrived in their new countries with only the clothes on their backs and the recipes inside their heads. For those who didn't have even a single photo left from their family, the smell and the taste of the food from home was memory. But in spite of everything, it's a joyful book, focusing also on recovery, resilience and triumph. Saba Feniger with her granddaughter Keren Dobia in 2016, the year before Saba passed away. How lucky we were to get to know her, and to include her story in this book. People ask me where the emphasis in this book lies. Is it a cookbook, or a history book, or a photo book? And the answer is it’s unique because it’s actually all three, blended into a delicious whole. It’s like making mayonaise - you can’t mix in poor oil or stale eggs - each ingredient has to being top quality. And so they are all equally important. Perhaps the only downside to this whole process has been that it’s been hard to stay thin. Haven’t learned how to refuse a second piece of cake, or even a third - you try saying no to a Jewish grandmother! But that’s a minor quibble, compared to the joy and fascination of working on Just Add Love for these years. So glad to be cooking up this book! Have to thank all the grandmothers (and grandfathers) for letting me into their lives.